Will Smith, Nicky Jam and Diplo Unleash the World Cup 2018 Anthem "Live It Up"
Now that Will Smith is officially back rapping in the studio, the Fresh Prince himself has let loose the official theme song for 2018's FIFA World Cup Russia. 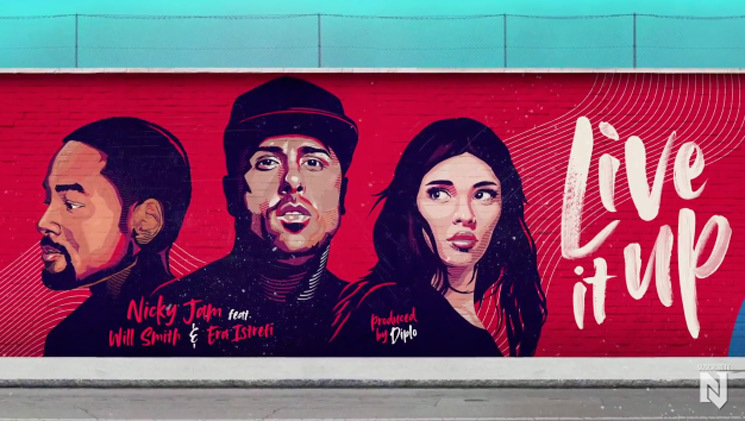 It's called "Live It Up" and finds Smith joining Albanian singer Era Istrefi, Nicky Jam and Diplo. You can hear the track for yourself down below, where you can also feast your eyes on some visuals. "Live It Up" follows Smith's most recent jam "Get Lit." Diplo, meanwhile, just released the debut single with Silk City, his new project with Mark Ronson.